It’s time to dust off the lawn chairs and break out the blankets. We have compiled a list of the best free concerts, movies, and children’s entertainment to keep you busy all summer long. We will continue to update the list as more are added throughout the season. Enjoy the fun and don’t forget the bug spray! It’s time to dust off the lawn chairs and break out the blankets. We have compiled a list of the best free concerts, and children’s entertainment to keep you busy all summer long. We will continue to update the list as more are added throughout the season. Enjoy the fun and don’t forget the bug spray! Concerts on the Green. Come and join the Community Arts Program as the sponsor concerts every Wednesday July 1 to August 26. in Veteran’s Park. Concerts begin at 7:30 pm to 9:00 pm, in the event of inclement weather, concerts will be relocated to the LBI Museum, adjacent to the park.Bring your lawn chairs and spread your blankets for some free family fun! Classic Rock Children Concerts on the Green. Because of its growing popularity, the Community Arts Program has added a second children’s concert this summer. Children concerts are on Monday nights beginning at 7 pm and is geared towards kids from 1-8 years. Bring a lawn chair or blanket, have a bite to eat and join them for free Concerts from July 7 to August 18, every Tuesday night from 6:30 PM to 8:00 PM, outside by The Cheesecake Factory and L.L. Bean. Rain dates take place on the following Wednesday. In case of rain, concerts will be held at the American Legion Hall, just down the block, at 81 West Front Street. Every Thursday from July 2 to August 27. The greatest Bruce Springsteen tribute band will be performing Springsteen hits throughout the night! The Ultimate Tribute to Rod Stewart! Legend musicians throughout Mercer County will be performing throughout the night! Wednesdays - Family Olympics & Fireworks! Join them for some good clean family fun! 6:30pm till dusk on the beach between Hancock Ave and Freemont Ave. Fireworks are viewable on Wednesdays 9:30pm everywhere on the Boardwalk. Just pick your favorite spot and enjoy the spectacular sky show. Friday – Limelight Concert Series - For the first time, Seaside will be hosting a Friday Night Limelight Concert Series where local bands and musicians won a competition to be able to play on the boardwalk in Seaside Heights during the summer of 2015! 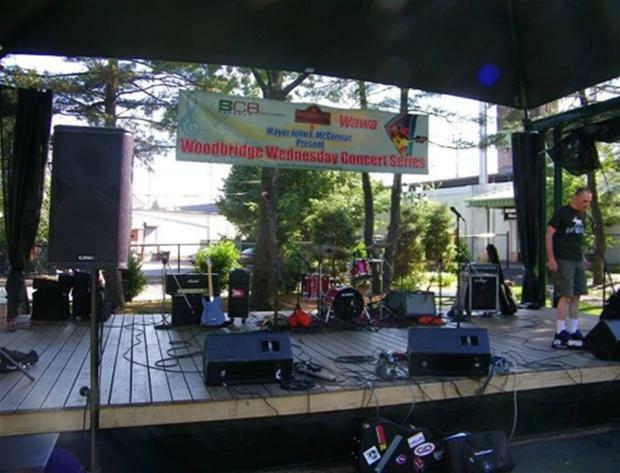 Whether you like oldies, country, classic rock, folk, jazz, Amerricana, world music, or all the above, you’ll find music you love in Woodbridge! Every Sunday through Thursday, music fills the air on the great lawn behind the high school or the more intimate Parker Press Park. Artists include the renown, the unknown, local bands and Grammy winners. Mondays – Oldies 50s & 60s, just like you remember it! Wednesday - Eclectic music at its best! 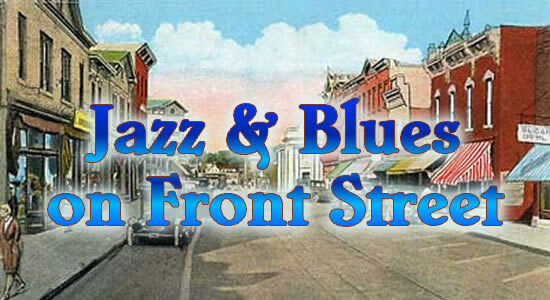 Folk, blues, Americna, Rock , World Music & More!